I love this quilt so much. And the fact that it sat waiting to be made for this long is a shame; it is so warm and cuddly! Isn't it lovely?? It's all flannel and I want to be wrapped in it all-the-time lol. 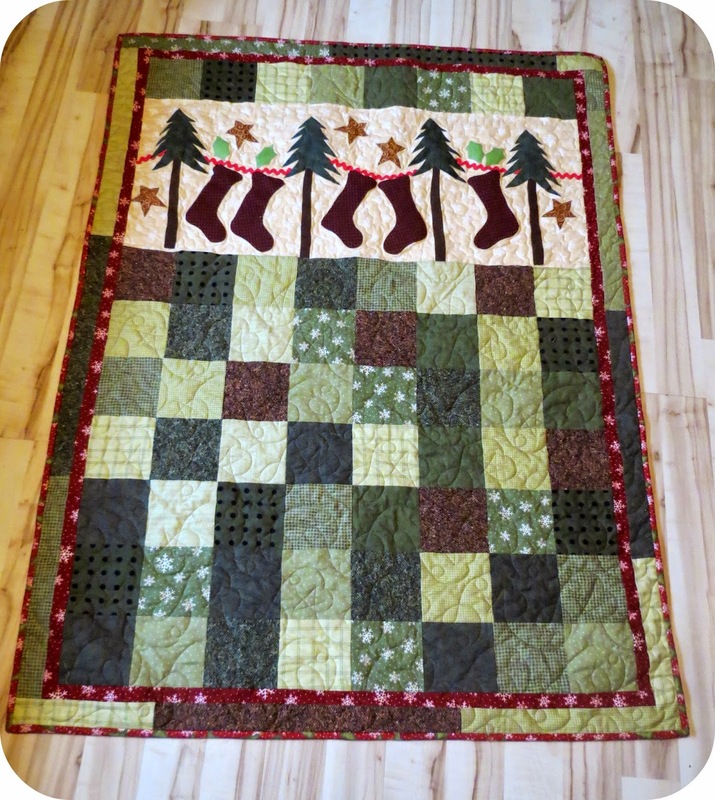 I meandered around all the applique pieces and did some stars in the remainder of the quilt. I bought the backing for another quilt and changed my mind; it was just too perfect for this one. Today's my birthday and I am going to spend the rest of my evening curled up in my new favorite quilt reading!